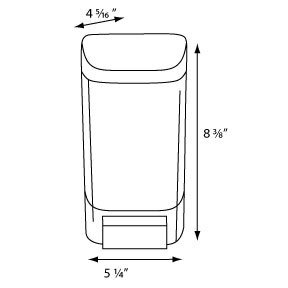 Palmer Fixture SD0046-01 Dark Translucent 46 oz Bulk Soap dispenser durable and made from impact resistant plastic. Modern, curved design prevents patrons from placing items on dispenser. Each push dispenses about 1cc of soap. Easily monitor soap supply with translucent cover.